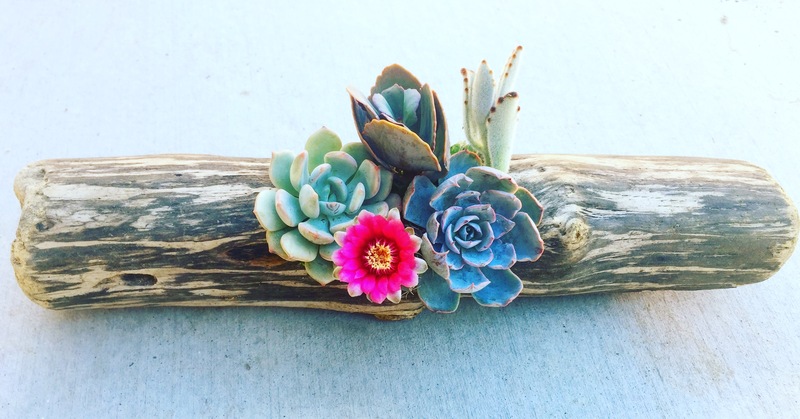 Summer is on it’s way which means its definitely time for a Succulents in Driftwood Workshop! Join Rachael from Infinite Succulent, and create a succulent arrangement planted directly into beautiful driftwood, sustainably sourced from the Pacific Northwest. During this workshop, you will learn how to create and maintain your personal succulent art. These stunning creations can be displayed indoors or out, and with proper care, can thrive for years! Rachael, owner of @infinitesucculent, is a succulent artist and environmental educator who’s known for her passion and enthusiasm for all things succulent! All materials, rooted + clipped plants, and light refreshments will be provided. Session will run for 2 hours. $55 per person payable upon registration via PayPal. Please note that if you pause during registration and the PayPal system times you out, registration isn’t complete. Registration is only complete once PayPal sends you a payment confirmation email and our workshop system sends you a registration confirmation email. For any questions, please email events@barrelsandbranches.com.